Current representative: The current representative for the 107th District is Rep. Lee Chatfield (R-Levering). According to the House Republicans, the district features Chippewa, Emmet and Mackinac counties and a portion of Cheboygan County. 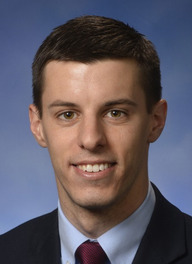 Chatfield is the speaker of the Michigan House for the 2019-2020 legislative session. He served as the House speaker pro tem for the 2017-2018 legislative session. He was first elected to the House in 2014. A map of the 107th District is available here. Rep. Chatfield raises money through a candidate committee, Lee Chatfield for State Representative, and a leadership PAC, the Chatfield Majority Fund. In December 2017, he launched a second leadership PAC, Chatfield Majority Fund 2.